Who is up for a contract? I can't think of anyone. Nothing I said was false, nothing. Seems you're arguing with me over an opinion or statement I did not make, really weird. That is what struck me about the debate. If you aren’t going to spend the savings why create them to such a large extent? Process is all about the draft pick, which requires losing while watching a lot of film? Rivera is a good head coach. Marvin ehh ask a Bengals fan they want him gone. Tomlin is a defensive head coach but he didn't bring his defense he kept the defensive scheme as when he got there, if you read stuff on Tomlin he is much more an overseer as someone that puts in his play book. John Harbaugh was a special teams coach before becoming a head coach. - How many SB appearances does Rogers, Brees and Ryan have? 1 each. - How did the highest scoring offense in NFL history do in the SB after going 17-0 in reg season? Put up 14 points and lost to a defensive team. - How did the second highest scoring team in the league in 2011 do in the SB in a rematch of above SB? Put up 17 points and lost to same defensive team. - How did defensive minded Harbaugh do against offensive minded brother Harbaugh in SB? Defensive minded won with mediocre offense. - How did Brady avoid going 1-4 in his last 5 SB's? Butler intercepted a pass on last play of game when Seattle foolishly didn't run on the goaline...otherwise Pats lose again to defensive minded team. And had Atlanta not mismanaged the other SB, Pats should have lost that one too thanks to Atlanta Defense. I mean there are a lot of pieces of evidence that contradict your opinion on this matter. TRUTH IS: There are a LOT of ways to win today. Offense is the trendy word of the day, but this isnt fantasy football. We all want a fun offense to watch, but this false narrative that you need a offensive minded HC is just a trendy fan opinion and not really accurate. Let's go with each argument. Rodgers Brees and Ryan have been to super bowl once. How many times have they been to the playoffs? John Fox was the head coach but Peyton Manning was the QB and they fired Fox and made the OC the head coach and they won the super bowl the next year. That was easy. Bill Bellichik look at the numbers of brady when he had this OC rather then when they didn't have McDaniels. Bill is a mastermind of scheme and changes the playbook to fit who they are playing no other coach in football does this. Also Bill is the greatest coach of all time. He is the unicorn. Several of your “facts” are wrong. All I know is the days of 100M contracts to players like Mario Williams & Dareus are over for the Bills. I'm not expecting them to come anywhere near the 90M this season but please start giving life support to our offense. Seriously? " If he can field even a COMPLETELY average offense we're golden"
Golden what? please enlighten us on how an average offense is golden in this era of NFL football. in later rounds. Every team in the league will make improvements. 90 M is not going to flip this trash offense. in a year. The Panthers don't have 90M worth of trash FA's to help Beane out. I do believe we can improve enough to have an ok offense and with this defense I think we could really play some good competitive football. Defense is our identity, we just need an offense that can put up 21pts and we will be a playoff team. Yeah. Zimmer's good. Quinn's really good. Offensive guys are the latest trend, but the bottom line is that it's not which side a guy comes from, it's how good a head coach he is. We did that cutting and trading in a salary cap purge and because a number of guys didn't fit the system. They've made it very clear they will build through the draft and fill in with FAs, but not highly-priced ones. And this is the blueprint of nearly every team that's been consistently successful in the NFL in the last fifteen or twenty years. Who is up for a contract? I can't think of anyone. Who is up for a contract? Kelvin Benjamin. I get it if people don't want to re-sign him, but he's up. If he comes cheap, who knows? Jordan Phillips. He's looked really good. Eddie Yarbrough. IMHO they'd really like to keep him. Lorax. He won't get anything long-term but I bet they'd love to keep him another year or two. Derek Anderson. They might want to keep him as a QB mentor for Josh. John Miller, Jordan Mills, Ryan Groy and Jeremiah Sirles. Not a lot of cornerstones there, but they might easily want to keep a couple of these guys, with the intention of bringing in guys who will outplay them and make them second-teamers. Terrelle Pryor. Not sure what he is, at this point but they could easily want to keep him. Guys who they might want to re-sign this off-season or during the year next year rather than wait till they become FAs in 2020: Chris Ivory. McCoy, though I doubt it. Bodine, Ducasse, Hughes, Julian Stanford. No, they won't sign all of them, not a chance. But many? Yeah, the ones they think fit. Would that take $90 mill? Not even close, of course. But do they have to spend all of it? Or even 90%? Nope. The league as a whole has to spend 90% of it's cap, but that isn't usually a problem. Look at the Browns and Colts, who each still have more than $50 mill on the cap right now. SF has $36 mill and Tennessee $23 mill. The salary cap is $177 mill this year and the Jets still have $19 mill. That's five teams that spent less than 90% this year. We may well be one of those teams next year. But I'd expect them to bring in a bunch of low- and mid-priced guys to fill holes and build depth. Spending it won't be a problem. But if they have a bunch left, that's also not a problem. I'd take Lorax and Jordan Phillips for sure, but if you go back to my post it was in response to the idea that the 90 million in cap is going towards our own players which is absolutely not true. No offense and please don't take this personally but 90% of the players you listed are #1 garbage and #2 cheap. I wouldn't take personally a statement that is opinion and not really very thoughtful opinion. Please don't worry about my feelings, and don't take this personally yourself. Why would I take offense at something that I think is mostly wrong? One or two might be (relatively) garbage. Some might not fit. Some might be replaced cheaper. Some might be cheap to sign. And there are also some guys who are good and will cost some money. I mentioned Jerry Hughes, Jordan Phillips, Eddie Yarbrough, a year or two of Lorax and guys who could easily become more expensive depending how they play the next year or so such as Julian Stanford, Ducasse and Terrelle Pryor. They could very easily and reasonably spend a pretty good chunk of money on this group and an extra $2 to $5 mill on a few of the cheaper guys as well. And the guy you were responding to in no way said that the whole $90 mill is going towards our own players. So if that's what you were responding to, you were missing the point. And again, as I pointed out, there is no requirement for them to spend all or most of the $90 mill next year. I wouldn't take a statement that is opinion and not very thoughtful opinion personally at all. Why would I take offense at something that I think is mostly wrong? Dude, just take a break. If you are straight-up unable to post without being condescending, stop posting. Good advice. Add the words "... condescending and insulting ..." and you should strongly consider it yourself. Really? ‘Cause I’m fairly certain that ‘bama could beat these Bills. Hell , UB could probably beat these Bills. Did anyone else read the thread title and think an entirely different subject? Gutting the roster of every day 1 or 2 pick they didn’t oersonally make is not the blueprint. To do it that quickly is a major outlier. Game has changed even since McDermott was hired. Also your using Bellichick as just a defensive guy to prove your point. Thats his offense Pats have been running for the past 18 years. So I have wanted to bring this up but didn't have time. The NFL is an offensive lead I think we can all agree to this or at least agree mostly about this. I was talking to a friend and we were talking about good head coaches and then we were talking about what side of the offensive defensive or special teams they coached before becoming head coaches. It got me thinking I don't hate McDermott I just think there are so few defensive good coaches in the league and in the league historically. We could only come up with Pete Carrol and Bill Belichick who were great head coaches who were defensive minded. Total there are 21 Offensive head coaches 10 defensive head coaches and 1 special team head coach. Out of those coaches there are much more good coaches on the offensive side of the ball then there are defensive good head coaches. I just think with the way the NFL is today you need a good offensive coach as the head coach. You can always find defensive coaches. But if you have a superior Offensive Coordinator the second he has a good year or even just people interested in him he is gone and he is basically taking your offensive system with him which messes with the QB if you have a good offensive head coach he runs his system he is there for the duration. A few off the top of my head: Mike Ditka - had the best Defense in the '85 Bears in the history of the NFL (statistically speaking); Bill Cowher, Bill Parcells, Tom Landry (Defensive Coordinator first with Giants), John Madden who started with Oakland as a Linebackers Coach, George Allen, Tony Dungy modernized and popularized the Tampa-2 Defense and won because of it, Bud Grant, and Chuck Noll (Steel Curtain D). Now in modern NFL, Offenses are king - driven by the QB, but to say that Defenses can't win championships or that Offenses are the only way good HCs are made, to me is overly simplistic and patently false. 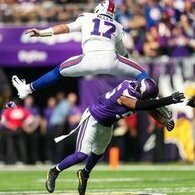 McD needs to have Beane get him play-makers on Offense, and I think they will get them, but it's long from determined how this era in the Buffalo Bills story will end. You said Pegula will need to put financial restraints on them because you just assume that they are going to go out and blow $90 million in cap space on bloated contracts when the two have said all along that they plan to build through the draft. Pegula won't need to put financial restraints on them because their philosophy on how to build a team, right or wrong, isn't about overspending in free agency. What else would they say? That they're going to squander $90 million on overpriced free agents? Judging by the constant turnover of GM's in sports, I think it's far more ignorant to blindly assume that one will accomplish his goals just because he said it in a press conference. Of course, they aren't going to say that. However, they could say things like wanting to bring in top talent through free agency. That they don't value draft picks as highly, and so on. Except, they have never said anything of the like, which is why NewDayBills first post was so miss informed. Wrong. He said the 90 million would go to homegrown talent yet there is no homegrown talent to sign. As I have pointed out, they will not spend right up to the cap, not only is there no requirement to spend the money but there will be no permission to do so. Hope that answers everything. Everything else you said is pretty much dicky and arrogant when I've completely treated you with nothing but class and respect. You have no honor and are not a man. You quote me quite often, if you don't like what I say, just keep it moving. We definitely definitely definitely do not need to be friends, at all. It's been 18 years since we had a good head coach, and we fired him for 8-8 after making the playoffs multiple years. 2018- Chiefs averaging 36.3, NO at 34.9, Rams at 33.2, NE at 30.0. Common theme? Fair to say they are the top 4 teams in football now. 2017- Phili was the number 1 offence at 29.0 per game. Number 2 was NE at 28.9. Outcome? Shoot out in the SB and Phili wins. 2016- Atlanta was number 1 at 34.1 per game. NE was number 3 at 28.7. Outcome? Shoot out in the super bowl between those teams and NE wins. The stats above show that offensive teams dominate the NFL now, so I would much prefer taking my chances by hiring an offensive guy to build and lead through a powerful offence. I didn’t say you didn’t need a good offense. They said you must have an offensive minded HC...I said it’s not statistically or factual and there are many ways you can win the SB and an offensive minded HC is not a prerequisite. Top 2 scoring offenses in NFL history: Both had Defensive HCs. Sorry, but your statements lack the context to relate to the cries of everyone over a offensive HC and prolific pass attack. Another example...Carolina did a ton of those points in their ground game and had a tough defense led byour own McD. 14 of the last 20 SBs had a champion led by a defensive minded HC. The most prolific offense in NFL history at the time went 17-0 and the scores just 14 points to lose in the SB. Same Pats scoring juggernaught repeated that defeat putting up just 17 points to that defensive minded team again. No disrespect, but 2018 is meaningless. No champion has been crowned yet, for all we know Baltimore could repeat what they did when they beat SF again this year and ride a stout defense and mediocre offense to a title. We have no idea who is gonna win. I agree with you who the favorites are, but until someone wins there isnt anything we can accurately say about this year. Ok if you’re saying you can win with a defensive minded head coach that’s fair. I would still take my chances with an offensive head coach but you’re right there are multiple ways to win. In regards to my stats, it was to show you basically need an elite offence to win a super bowl in the past 4 years and probably 5 after this year. I am not saying defence doesn’t matter. But it really doesn’t matter as much as offence. If I looked up the defences that went to the super bowl in the past 4 years and the elite teams of this year so far, I can almost guarantee at the top of my head no one has even a top 5 defence with the exception of Denver. Maybeee Seattle? Either way, stats show the past 4-5 years that it is way more important to have an elite offence rather than an elite defence. That’s pretty inarguable in my opinion. Day 1 or Day 2? So, rounds 1 - 3? Shaq Lawson says hi. He was picked in the 1st round by the Rexy administration. John Miller was a 3rd for Rexy. As for cutting so many, it may be unusual but the situation was unusual. They needed draft capital to trade up to bring in a QB and they were in awful cap shape. Both of those made it difficult to keep the roster together. 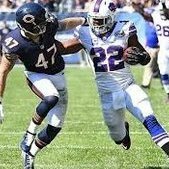 Gone before McDermott got here: the 2015 1st rounder traded away for Watkins, Kiko Alonso, EJ Manuel, Cyrus Kouandjio, Marquise Goodwin, TJ Graham, Aaron Williams, Kelvin Sheppard CJ Spiller, Torell Troup, Alex Carrington, Aaron Maybin, Jairus Byrd, Andy Levitre, Leodis McKelvin, Chris Ellis, Trent Edwards, James Hardy, Marshawn and every other 1st or 2nd rounder that came before. So out of all the previous 1st, 2nd and 3rd round choices, only 12 guys were left on the team before they came in.Out of those 12, Lawson and Miller are still there, so that leaves 10. Preston Brown, Adolphus Washington and Ragland didn't play well enough in the new scheme and we managed to get a pick for Ragland. That leaves 7. 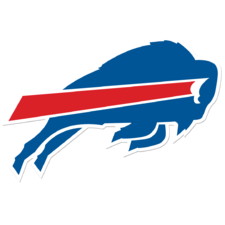 Dareus they wanted to keep but he made it impossible, Eric Wood was forced to retire. That leaves five guys gone in two years that were there and might have been good enough to stay and play. Darby, Watkins, Woods, Gilmore and Glenn. That's not some kind of extraordinary situation, especially as Darby didn't appear to fit the scheme and is having a bad year in Philly, though he may well improve again, Watkins is still underperforming his salary as he has every year, and Glenn had real injury concerns and we had a younger, cheaper guy we thought could play the position. Not that extraordinary for a team that is rebuilding, a team that had promised the owners to straighten out the cap by the end of this year and needed draft capital to trade up in a QB-rich draft. Very arguable indeed. The defenses average a lot better than the offenses during the last five years that you mentioned. Well, Goodwin left the same offseason as Robert woods. As well as the moves with kujo (actually late enough beane made the move) and Williams (I get, injury). I’m not saying we should’ve kept him but EJ was also McDermott’s first offseason.